After being accused of receiving funds from unauthorised sources, the Pakistan Tehreek-i-Insaf party has called for a scrutiny of accounts and funds of all political parties, particularly religious parties. PTI Spokesperson Fawad Chaudhry claimed that the PTI has submitted a complete record of the party's funds and accounts as well as a list of all donors to the Supreme Court and added that it was now the turn of other political parties, including the ruling Pakistan Muslim League-N (PML-N) and religious parties to disclose their sources of funds. He urged the country's intelligence agencies probe the sources of the funds of the religious parties. "We have presented our record. We hope that the Election Commission of Pakistan (ECP) and other institutions will now ask (about the source of funding) from other parties," the Dawn quoted Fawad, as saying at a press conference. Showing the bulk of documents, he claimed that the party had submitted the list of more than thirty thousand Pakistanis living in the US who had contributed to the party funds. Chaudhry also claimed that all members of the board of governors of these companies were overseas Pakistanis and their details had also been provided to the Supreme Court. 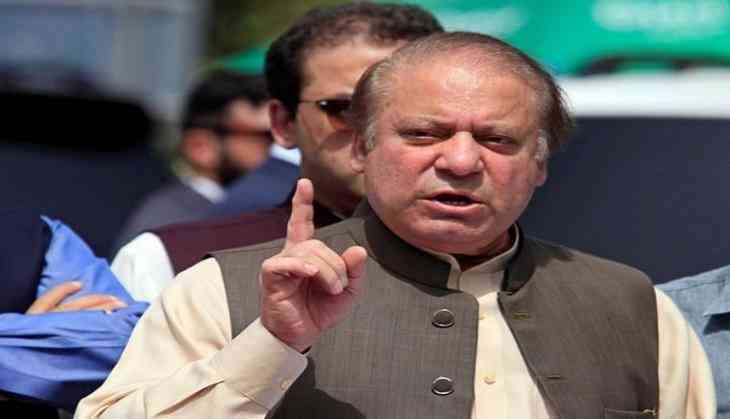 He also said that the Joint Investigation Team, which had investigated the money laundering allegations against the Sharif family, had revealed that Prime Minister Nawaz Sharif had donated Rs145 million to the PML-N.
"Where has this money gone? This shows that Nawaz Sharif has used the PML-N for money laundering," he said, accusing the other political parties of corruption as well.